Sometimes, all you really need to destress after a long day's work or to ring in the highly-awaited weekend is good food, good company, and a good drink. Agree? This simple formula, luckily, can be found in many restos and bars around the Metro. 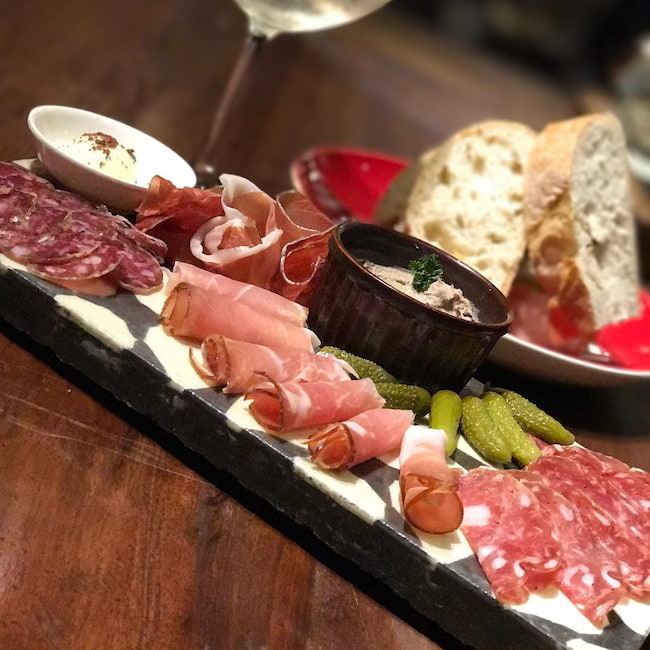 When all you need is a glass of high-quality wine, platters of premium cheeses and cold cuts, and plates of the tastiest appetizers, look no further. Here's where you can go! Feeling sick, tired, and a bit uninspired? Call up your friends and book a consultation at Poblacion's Dr. Wine, and we’re sure you’ll be feeling better in no time! This laid-back French bistro is best known for their extensive selection of mostly French and Spanish whites, reds, sparkling, and champagnes served in either glasses or bottles. But what’s good wine without appetizers? Indulge in their Foie Gras Au Torchon (P750), sinfully fatty duck liver served with tartly sweet apple chutney. Their cold cuts platter with Organic Maple Syrup (P680) is also a must, served with prosciutto, parma ham, salami, pickles, and artisanal bread, while their premium Cheese Platter (P680) includes Manchego, Blue Cheese, St. Paulin, and Brie. Try both platters with Dr. Wine's signature wine sea salt butter! 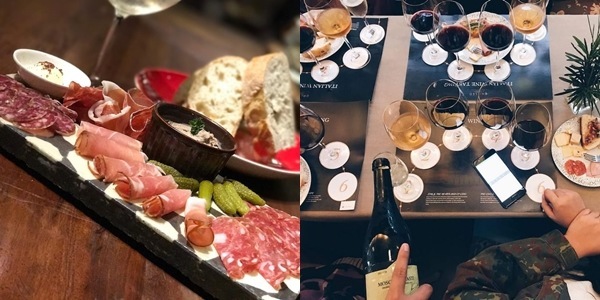 For a fine Italian dining experience, Galileo Enoteca, which literally translates to Library of Wines, may just whisk you away to Italy with their authentic wine cellar-style interiors and racks of wines and spirits available. 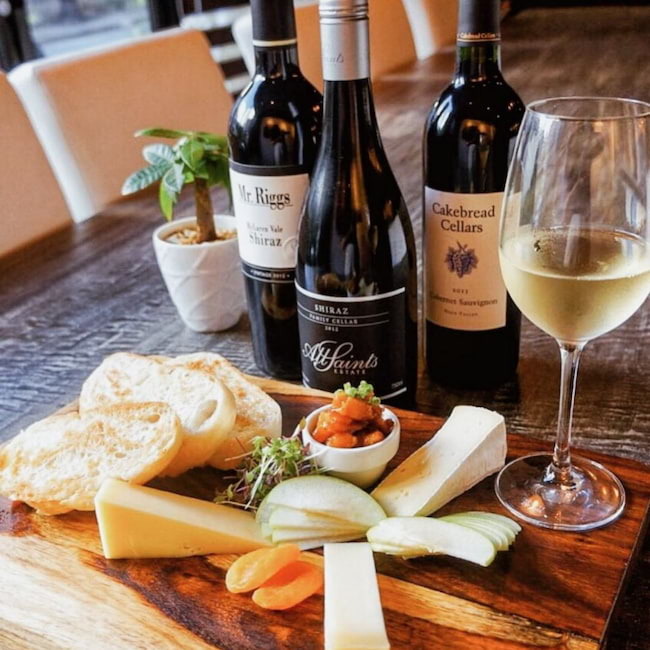 Come over on Wednesday nights, where all wine bottles are half the price, and then accompany your choice of drink with one of their lavish Cheese and Antipasti Boards (P420-P1350). If not cheese, their Prosciutto & Melone is a refreshingly savory treat of ham and fruit (P470), as well as their Tomato Bruschetta (P295), crunchy bread topped with fresh tomato and basil. 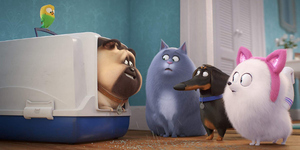 Feeling meaty? Their Sausage and Peppers platter (P360) brags homemade goodness and a kick of spice. A neighborhood staple for authentic pizza and pasta has always been Gino’s Brick Oven Pizza, but not many may know that this casual resto can host your next wine & cheese night just as well. Wines are served by the bottle, from semi-sparkling, white, rose, red. 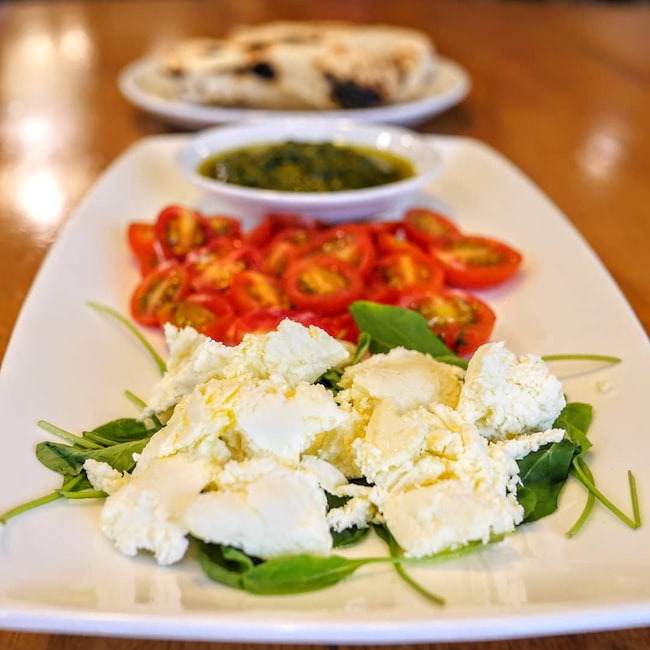 Check out their Mozzarella Bar, where Gino’s Fresh Cheese Plates are served with bread, arugula, and cheese and cold cuts! Try their Mozzarella and Salami Milano (P400), or have the oh-so-gooey Burrata and salty Prosciutto Di Parma (P400) plate to share. You can even mix and match your own cheese plate. 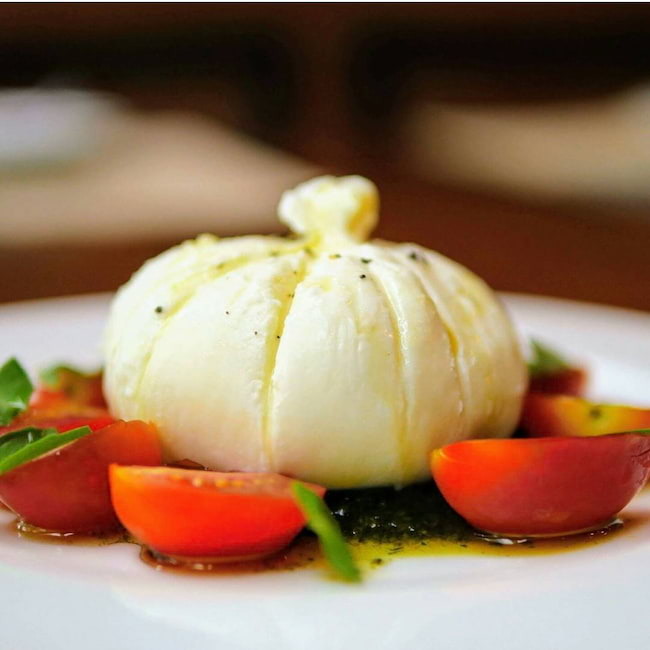 Another must-try appetizer: The Burrata Caprese, a semi-fresh mozzarella cheese filled with cream and kesong puti, served with sweet cherry tomatoes and basil. Yummy! 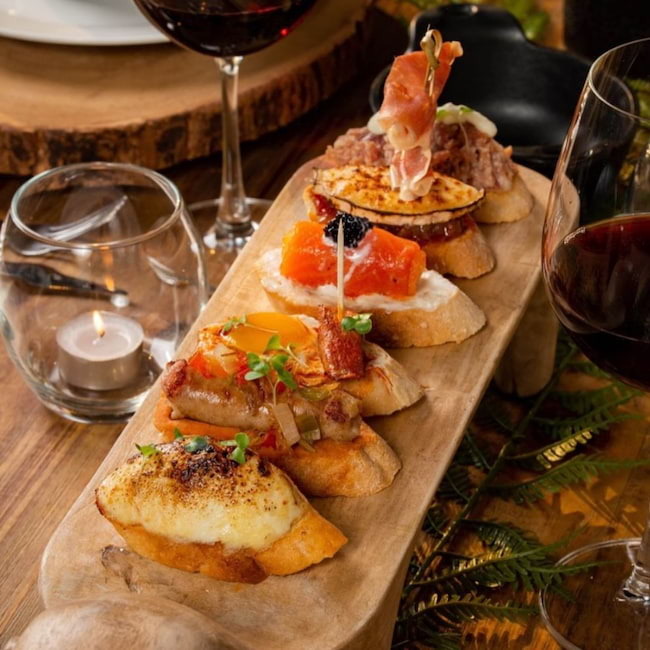 The classy Terry’s Selection Bistro fuses the best of Spanish and Filipino dishes with a specially-curated selection of the best wines available. 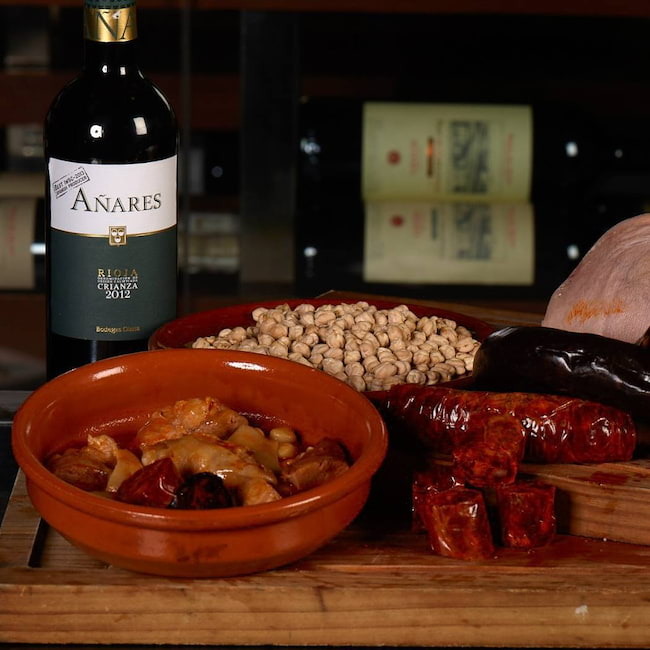 Not only does its sophisticated ambiance make for a prime wine & cheese night spot, but its menu of Spanish tapas does also. 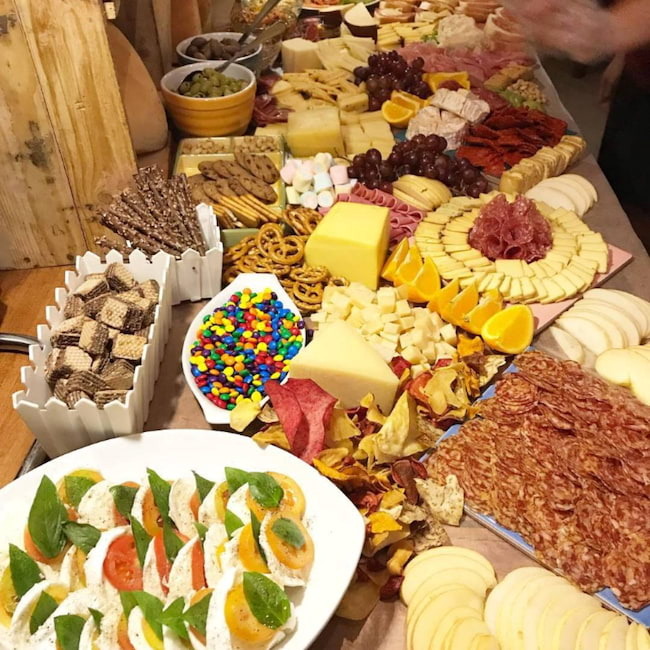 Aside from the best of Spanish wines, go all out with their European Cheese and Cold Cut Platter (P1235) and snack on Jason de Teruel, Chorizo Pamplona, Fuet, Manchego, Stilton and Brie/Cambozola. 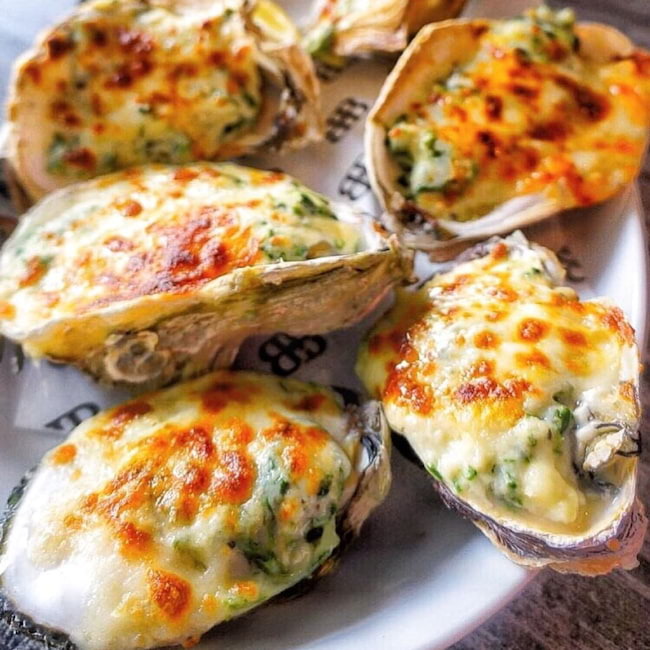 The Spanish fave Gambas Al Ajillo (P780) sizzles with spice, garlic, and fresh shrimp, while the lemony Oven Baked Oysters (P775) are topped with melted cheese and cream. If all you want is meat, go for plates of Jamon Iberico (P995), freshly-carved upon order. Refinery is open from day till night, ready to cater to you and your girlfriends' or partner's wine whims and charcuterie cravings. We also heard that they've got affordable unli-wine nights, too! 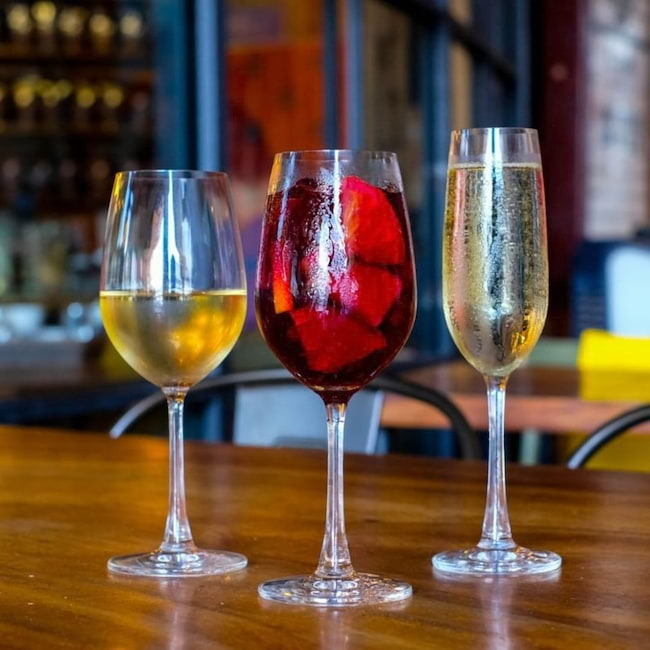 Refinery's wine selections include Sangria, Moscato, Rose, Light, Medium and Full reds and whites. Pair a glass with any of their crowd-pleasing appetizers: try the Goat’s Cheese and Truffle Honey Dip (P250), a medley of soft, salty cheese with the distinct taste of truffle and sweet honey, or the Baked Brie (P295), baked on a skillet until oozy and creamy from the inside, topped with crunchy almonds. 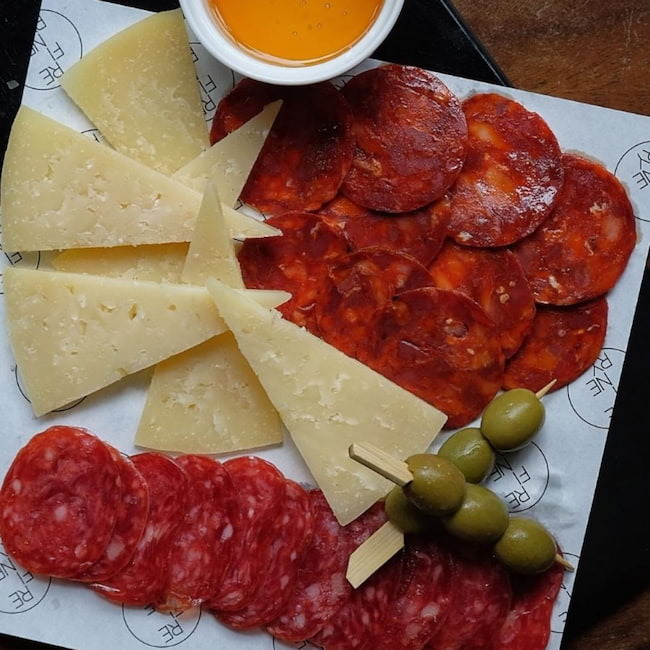 A Charcuterie Platter is also available (P680), serving up premium hams – from Jamon Serrano to Chorizo Iberico – with baguettes, olives, and honey. A quirky, fun resto serving up quality wines with unique Filipino-Spanish fusion dishes is Planet Grapes, a chill resto perfect for after-work unwinding at night. Their menu indicates suggested wine and appetizer pairings, like the Rose, best paired with Potato Chips with Truffle and Parmesan (P245), a light, paper-thin addictive snack drizzled with fragrant white truffle oil. 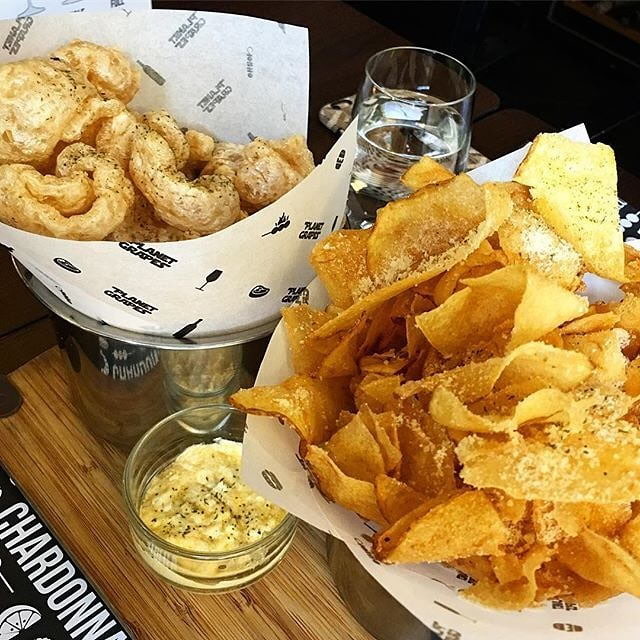 A Dry Riesling is best with their interesting Chicharon with Tinapa Dip (P215), sinfully-fried crispy pork rind, dipped in cream cheese and a smoked milkfish dip. 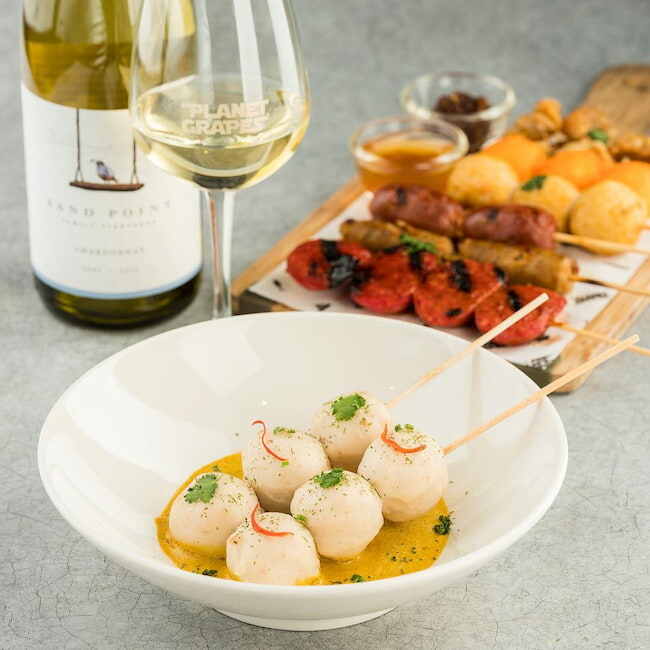 How about a Chardonnay with Squid Balls and Curry (P245)? We promise the premium squid balls go well with homemade yellow curry! 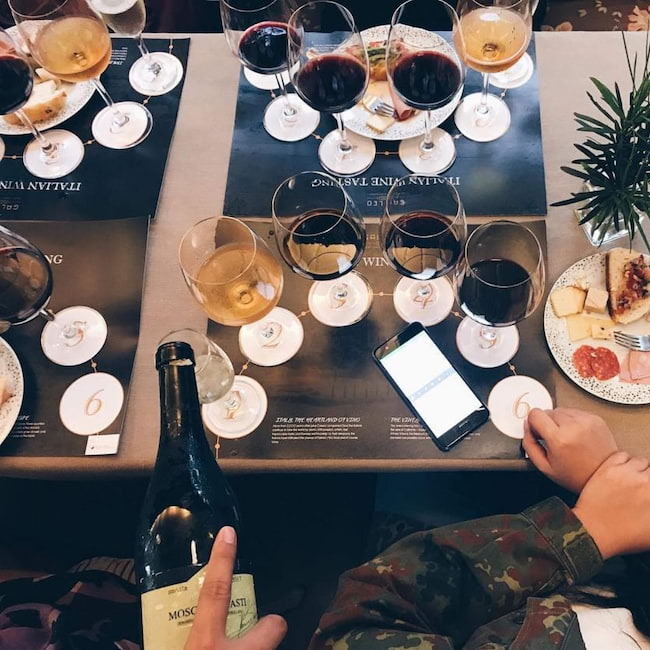 Lastly, their Pinot Noir is to be paired with the Cheese Fondue with Puto (P545), melted gooey Gruyere and Emmental cheese alongside fluffy puto Calasiao. G’day mate! 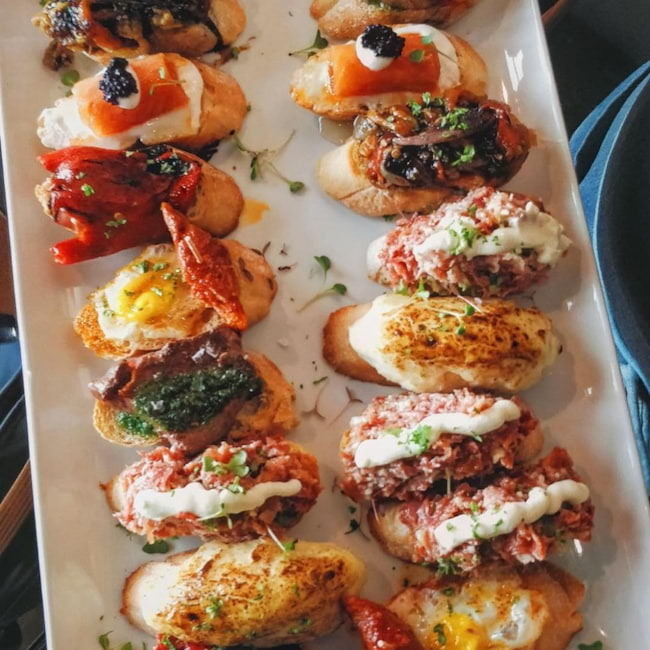 Care for some drinks and appetizers to start your date with? The Australian-inspired resto/open bar Bondi and Bourke offers pages of spirits and cocktails to quench your thirst, alongside a list of tasty starters and platters to satisfy. 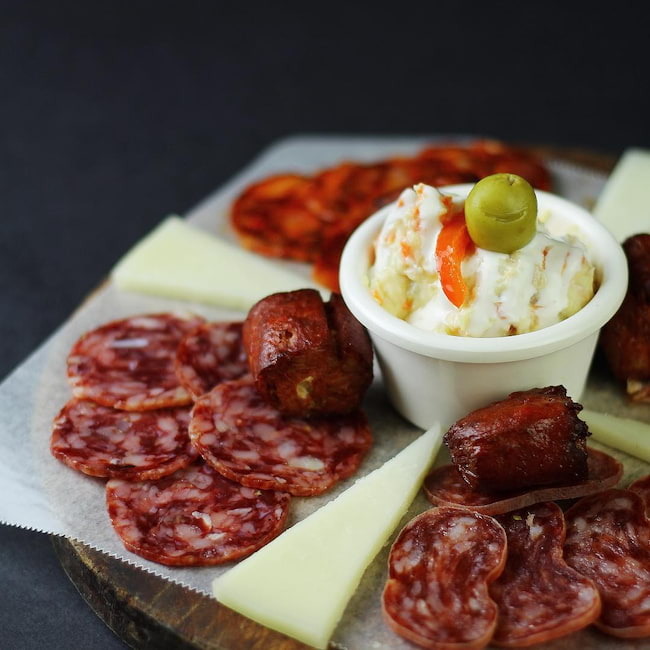 Recommended are the signature B&B Salami Platter (P590), a good-for-two spread of artisan salami, French Brie, olives, and ciabatta, the Spinach & Artichoke Fondue (P295), a melted pot of 4 cheeses with chives, and the exquisitely cheesy Oysters Mornay (P395-790), topped with spinach cream, mozzarella cheese, and lemon. And of course, who can go wrong with the Aussie Fish and Chips (P595) classic? Have a bite of some crispy-fried snapper, served with a garlicky tartare dip. 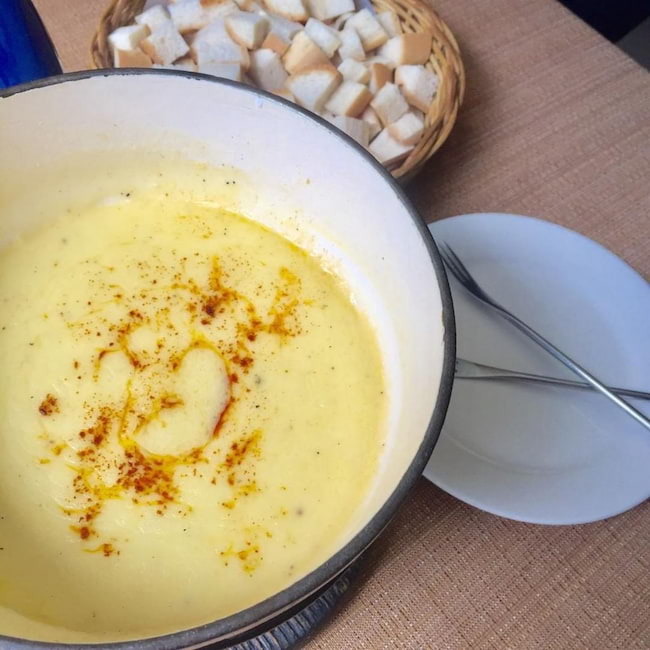 A household name since decades ago is the Old Swiss Inn, a favorite of families, couples, and friends looking to bond over classic cheesy fondue, wines, raclette, and steaks. 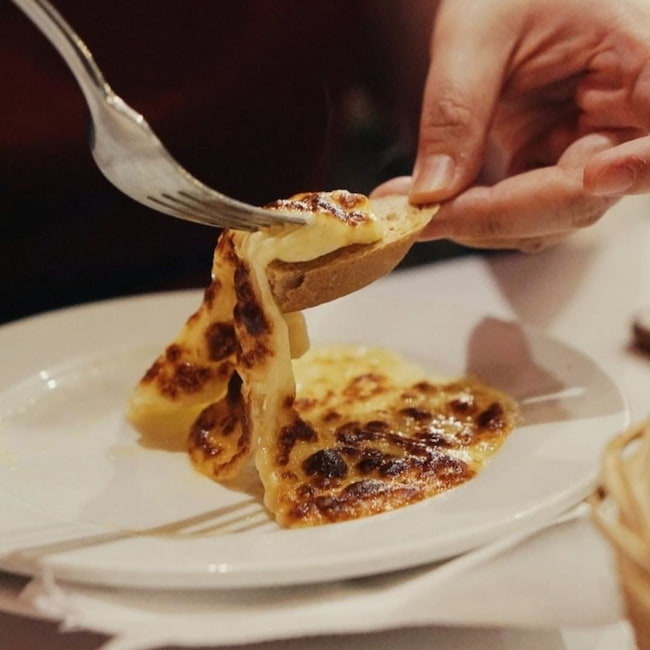 While sipping on a variety of Swiss, French, Italian, Argentinian, Australian, and Chilean wines, diners can enjoy as well the signature Raclette (P548), super-melted Swiss Raclette cheese served with baby potatoes, gherkins, and pearl onions. Don’t forget the bestselling Waatlander Fondue (P1031), crunchy bread cubes dipped in a pot of melted Gruyere and Emmental cheese! Care for just meat? 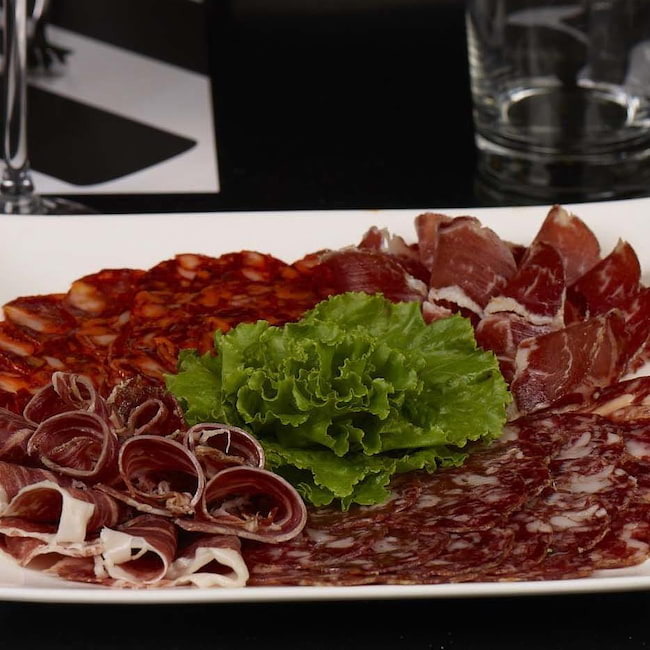 The Bundnerteller (P890) serves up premium Swiss meat specialties, like prosciutto, dried beef, salami and tasty smoked sausage. 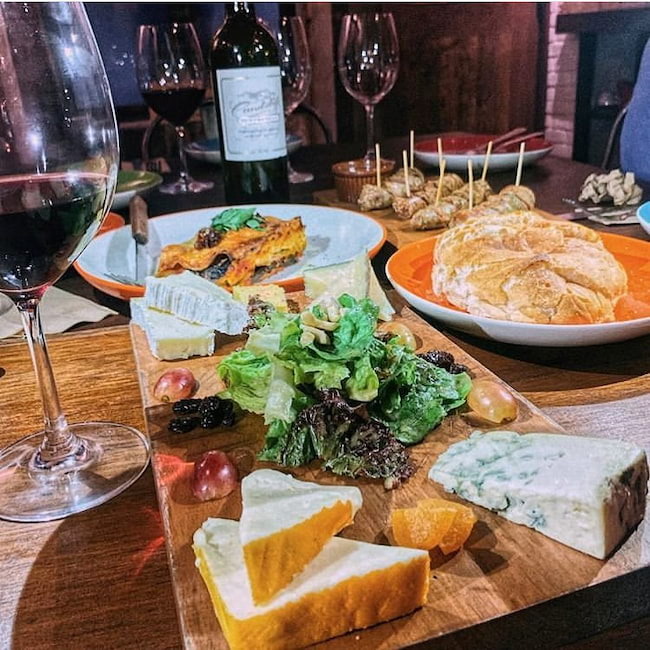 Spanish restaurants really know how to serve up a good wine and cheese night – Barcino included! 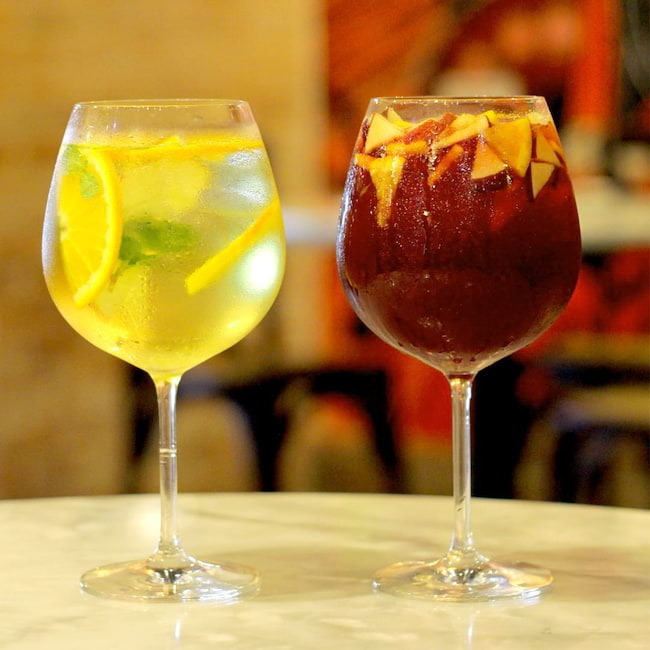 The casual dining resto bar offers not just good white or red sangria, but also authentic Spanish tapas to pair. The Montaditos Jamon Serrano Y Manchego (P590) is a simple but delicious snack of sliced bread topped with Serrano ham and Manchego cheese. The Croquetas De Chorizo (P320) are bite-sized, fried, homemade delights filled with chorizo. Seafood lovers, on the other hand, may like the Almejas ala Bilbaina (P325), fresh clams sautéed in garlic, chili, and white wine. For a bigger spread, the Tabla De Embutidos (P1400) is a mix of cold cuts and cheeses with toast and jam, good for a group. Wines, spirits, gins, and cocktails abound the classy Bar Pintxos, a relaxed Spanish bar that serves up equally delish starters and appetizers, too! Everything is as authentic and relatively affordable as it comes. 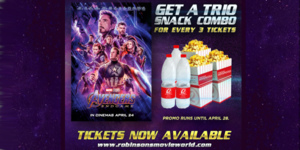 Spanish delicacies like the Chopito Frito (P250), which is deep-fried baby squid, the Huevos Estrellados (P300), a hearty mix of egg, chorizo, and fries, and the Piquillo-Brie-Jamon pintxos (P140), baguette topped with pepper, brie, and Jamon Serrano don't disappoint. For a more indulgent treat, what about the Boquerones Uni (P160) pintxos, made with sea urchin and caviar? Actually, we'll go for the Salmon (P190), baguette topped with smoked salmon, goat cheese, truffle honey, and caviar. Yum!